I will admit that I have been known to grumble about allergists not knowing much about the latest research, or taking the time to listen to patient needs, or staying abreast of the latest guidelines and recommendations for patient care. I mean, I've always understood that they were busy, but I wondered why they couldn't "do their homework" and keep up, since they have a very important job. Then, when I found out that the AAAAI 2015 Annual Meeting was going to be within driving distance (3 hours - not close, but not impossible), I applied for a Press Badge. I was pleasantly surprised to see that I was granted a badge, but then it turned out that I wouldn't be able to make the trip work. Before I decided that I wasn't going to be able to swing it, I spent time poring over the schedule, trying to decide what I might attend. This was no easy task. The Annual Meeting is a 5-day allergy & immunology extravaganza. Doctors and health providers can earn Continuing Medical Education (CME) credits by attending sessions. There are over 250 educational sessions, with many of them going on simultaneously! It literally took me chunks of time, spread out over days, just to bookmark the sessions that looked interesting. When I went back over the list to narrow them down, many of them overlapped. Then came the part when the overwhelm really set in. As part of the Media Kit, members of the press receive a set of press releases and journal abstracts that will be released at the meeting. (These items are strictly embargoed until they are presented at the conference, or until the date specified on the item.) Getting these abstracts was like receiving a treasure trove. I was viscerally excited to start reading them! I clicked the link and saw that there were almost 1,000 abstracts. It took me hours just to read the titles of the abstracts. I started opening up tab after tab after tab of abstracts to read and at one point, I hit a wall. I sat back in my chair and spent a moment just feeling completely overwhelmed and blank. I am no stranger to mountains of information. I went to college and I have a BBA and an MBA. I have crammed for exams and felt the tremendous pressure of finals week - semester in, semester out - year after year. Even so, I short-circuited for a bit when I tried to process all those abstracts. Viewing the annual data deluge with which allergists and immunologists are presented gave me a generous portion of empathy and understanding for their information overload. I understood why they might not be aware of the exact research studies of which I was aware. It's just not physically possible to read them all. There is no way for a single allergist to run a practice, have a life, attend all 250 sessions and read 1,000 abstracts, each year. Even if they picked an interesting topic like the microbiome, there are 40 sessions on that topic, alone, this year! They're going to miss something. 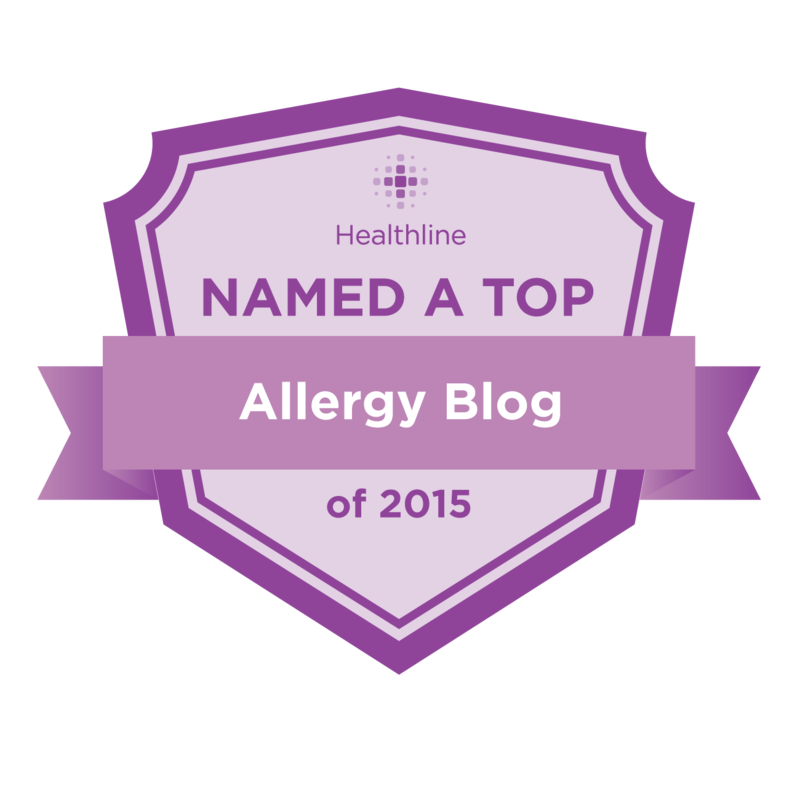 So, to the allergists, I apologize for the times when I have grumbled or seemed incredulous when you were not aware of the things I brought up. Let's work together to improve our lives/the lives of our children. That's the main goal, after all! HUGE THANKS TO ALL LIVE-TWEETING ALLERGISTS AT AAAAI! MyKid-ology... like it....and since A is 5 & 1/2 thats gotto be worth a BS and MS, right? Nice insight to doing your homework when deciding where you want to spend your time at an AAAAI meeting. I hope all your prep work pays off next time. Thanks for the enlightenment. All I have to say is THANK GOD for you Selena. This is where the road splits and the big girls take the high path. Bravo for your time and thank you for your time. You go out there and learn and strive in ways that I can never ever touch. Then, you are kind enough to share your findings with the rest of us! Bravo!